Buy the Farm . . . Share: July is Birthday Cake Day for Cakes! July is Birthday Cake Day for Cakes! The epic birthday month of July is drawing to a close. Many cupcakes have been consumed. Many cake slices have been consumed. And most of that was just Auntie Lauren irresponsibly feeding them to our children right before dinner on random days. The birthday week of the cousins brought with it hitherto unexplored amounts of cake-like products. It may be worth celebrating Josephine's birthday in July as well when she's older. She may not take kindly to being the only cousin excluded. The boys had their first dentist visit and they were pumped. They'd been talking about it for months and were very much looking forward to meeting Doctor Erin. I think all of our (mostly Jen's) preparation and talking about the dentist was well worth the trouble as they can't wait to go back. We should really start talking up the joys of getting cavities filled in anticipation of their first experience with that. 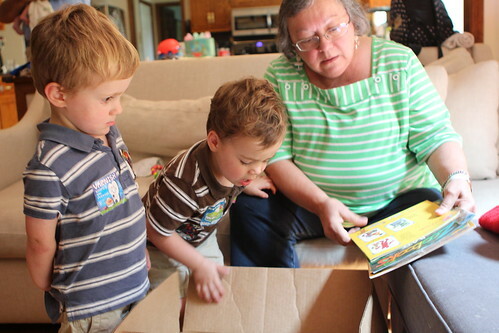 Nana and Grandpa showed up before their birthday party bringing a giant box of books. This went over very well thought they still defaulted to Storybots as their preferred Grandparent-lead activity. We took all the kids to the Jumping Park after picking up our farm vegetables where Martin was stung by another mosquito but, after a run home and a dose of Benadryl, did not stop him from enjoying the climbing walls. We have been watching a lot of the Tour de France where, unfortunately, Tony Martin crashed and broke his collar bone. Martin now does daily impressions of Tony Martin crashing and considers himself to be Tony Martin. Elliott has taken on the moniker of Tony Elliott. He just wants to be like his cycling hero. Hopefully not to the degree that he intentionally breaks his collar bone. At Evelyn's party Elliott spent much of the time with Grandpa assembling a puzzle of the United States. It's actually a really difficult puzzle considering the shapes of the states if you aren't familiar with the geography of this country. He did an incredible job of figuring it out with only a few errors. I'm pretty sure he did a better job than Jen would have been able to do. Evelyn was delighted to dress like Minnie Mouse. I'm not sure if it's legal to put this picture up without paying a fee to Disney but I'm taking my chances here. I hope this doesn't adversely affect sales of Minnie Mouse cartoons. I would just feel awful if I cut into Disney's profits. They boys enjoyed their personalized birthday cakes themes around Spider-Man and his Amazing Friends and Mark Knopfler. In 1983 these cakes would have been an even bigger hit. Auntie Lisa had her own birthday cake as well. Thankfully, since three birthday cakes is hardly enough for a small gathering, we also had a soft serve ice cream machine with some delicious peanut butter ice cream for the kids. I got the boys Darth Vader and Obi-Wan capes and lightsabers. Unfortunately they received these gifts first which made it a little hard to focus them on opening the rest of their gifts. Elliott was convinced to sleep with his lightsaber and no pacifier for the first time in years. That only lasted one night, however. 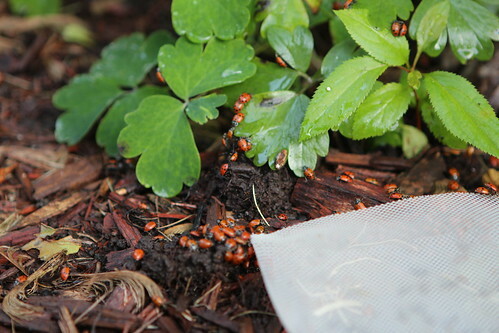 Grandma also brought over a bag of 1500 ladybugs and set them loose in the garden which kept the kids entertained and the plants free of aphids. Now we need to simply play dumb when our neighbors ask us where the ladybug infestation came from. 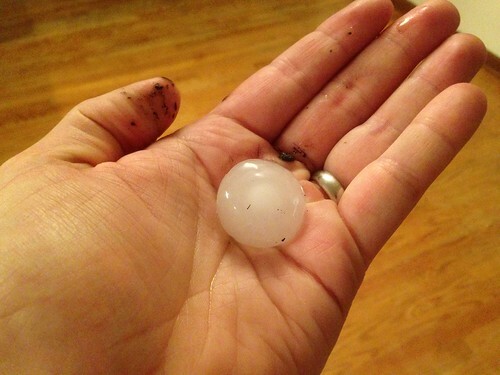 Early in the week we had a freak hailstorm with gol fball sized hail which I was convinced was going to destroy our windows. Thankfully they must have been manufactured with that possibility in mind. 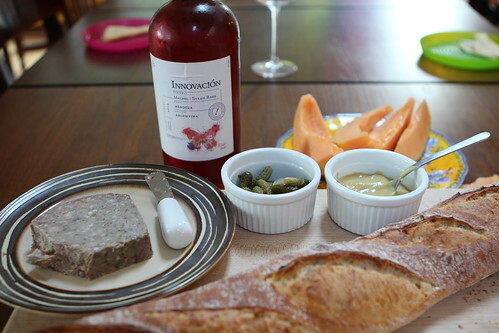 For Bastille Day we had an impromptu French dinner with Rose from Argentina. 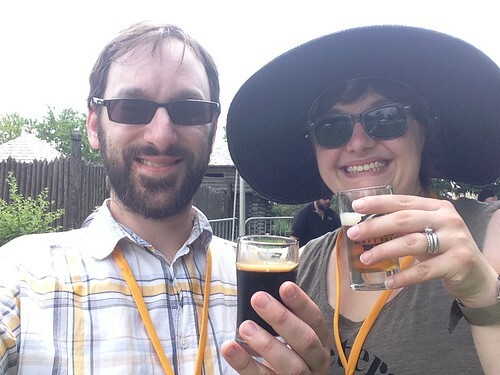 Last Saturday was the Naperville Alefest. The Winter Alefest was around 20 degrees and this Alefest came in at 95 degrees giving us both uncomfortable extremes. It's probably easy to pass off less-than-stellar beers as I don't have much memory of anything besides wiping sweat out of my eyes. Next year I have a radical proposition: spring and fall alefests! The weekend mornings continue to be dominated by cartoons, mostly Spider-Man and his Amazing Friends, and mostly the Dracula episode at that. Dinner has become more difficult as the boys (mostly Martin) will rarely accept having dinner right when I come home without a few laps around the block on bikes. When you only have 15 minutes to prepare a shabby dinner this does tend to complicate things a little further. It's a matter of weighing the pros and cons of a hunger tantrum versus a not-getting-what-you-want tantrum. With a decision like that to make, how can you go wrong? They are adorable! Surprisingly, July is the month when all of us were born. I have two kids and their birthdays are in July and so is mine and my husband’s. We don’t eat cake on my birthday just to give calories a break. I am planning to book a party venue this time for my kids’ birthdays and celebrate it on one day together.